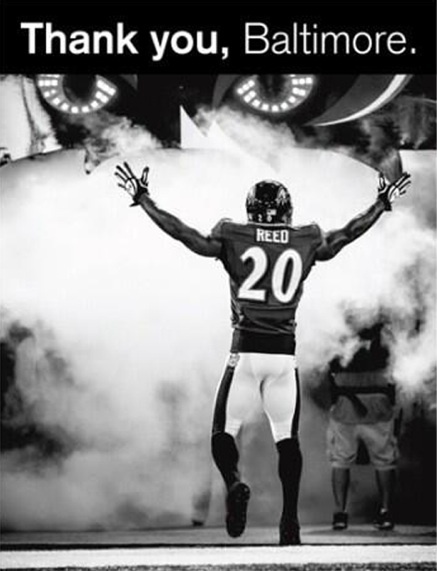 Ed Reed spent 10 seasons with the Baltimore Ravens, and culminated his tenure there with a Super Bowl Championship. Reed closed that chapter and agreed to join the Houston Texans. Friday, he signed a three-year contract worth a reported $15 million. Sunday, in a true act of class, Reed took out a full-page ad in the Baltimore Sun to bid the city, its fans and the organization farewell and to thank them for their support. I hope Texans fans appreciate and understand the gift they just received. Congratulations champion and I wish you success in the future .. Luck! Great summary and excellent site.